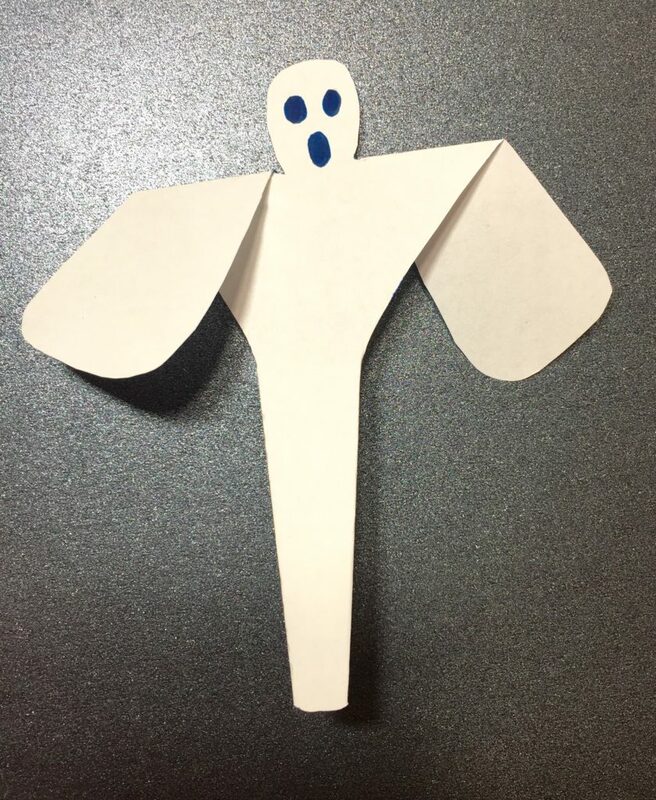 The spinning ghost is a perfect activity to do with your kids during the Halloween season. Its easy and simple and doesn’t require much time and materials. It is made on the same aerodynamics principle as that of a paper helicopter. 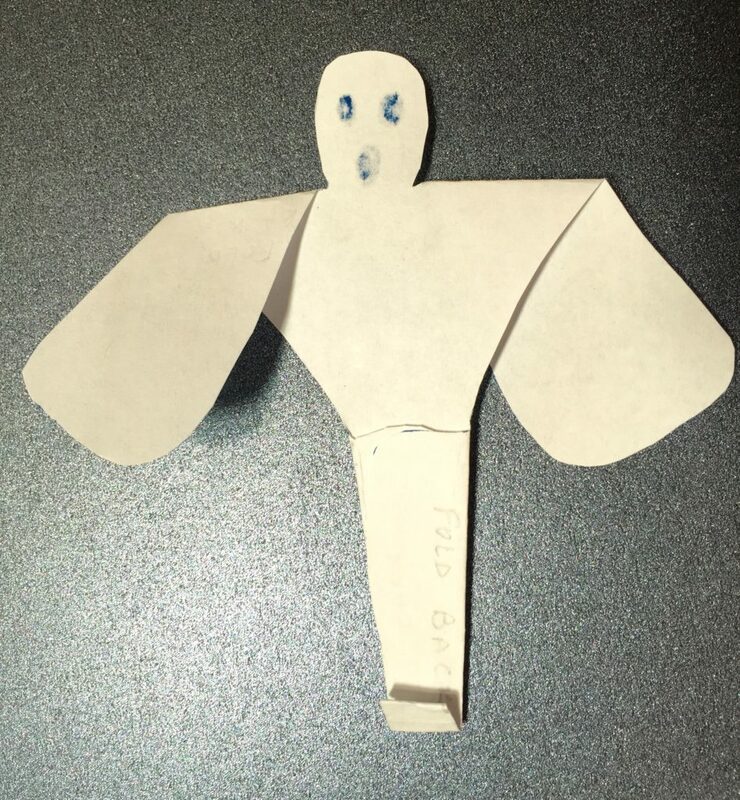 The way the paper ghost hands are cut and folded would make it spin as it falls, just like the way a helicopter blades spin. 2. 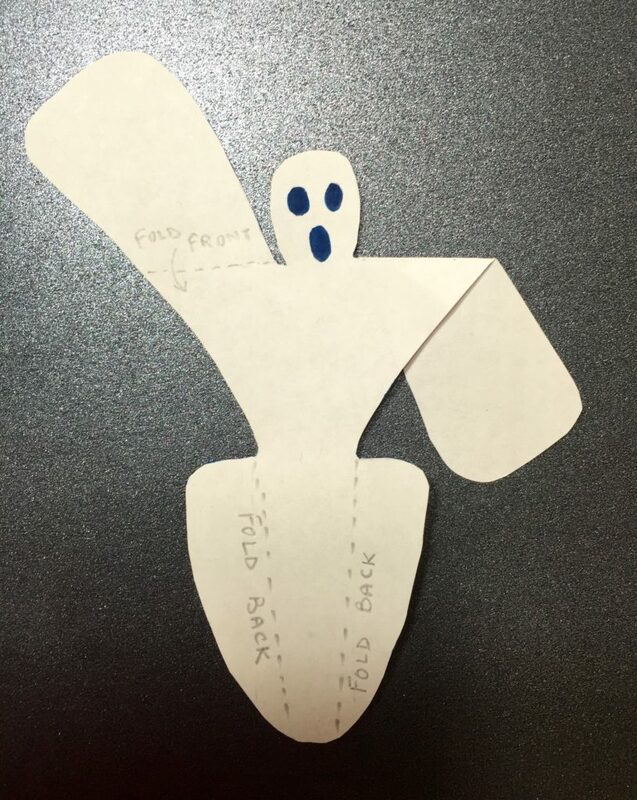 Download or draw the ghost template and cut it out at the solid lines. Download the GhostCopterTemplate here. 3. Fold the wings at the dashed line. Fold one side away from you. 4. Fold the other wing toward your side. 5. Fold the flaps on the lower body at the dashed line to the back. Glue the flaps together. 6. 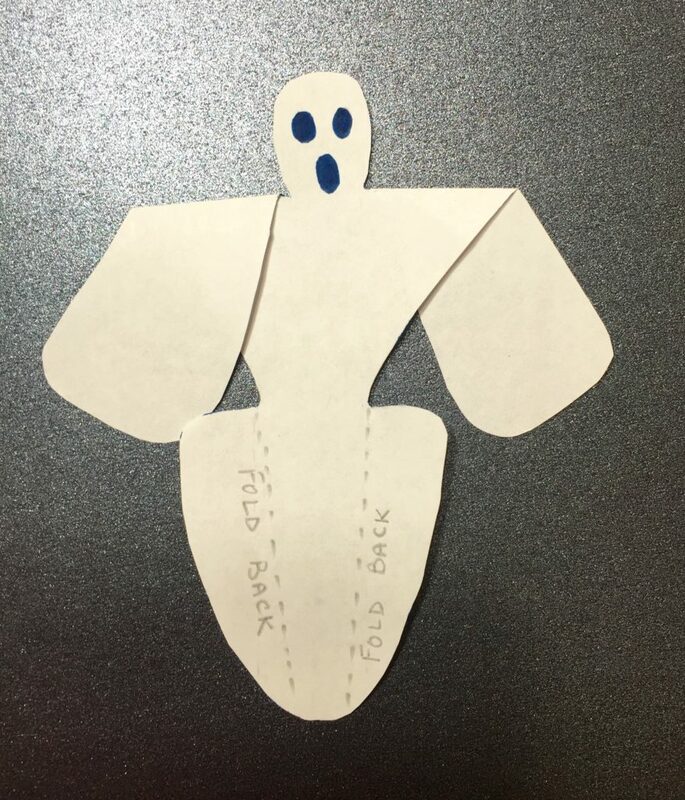 Fold the lower part of the ghost body upward to give some weight and secure it with a tape. 7. 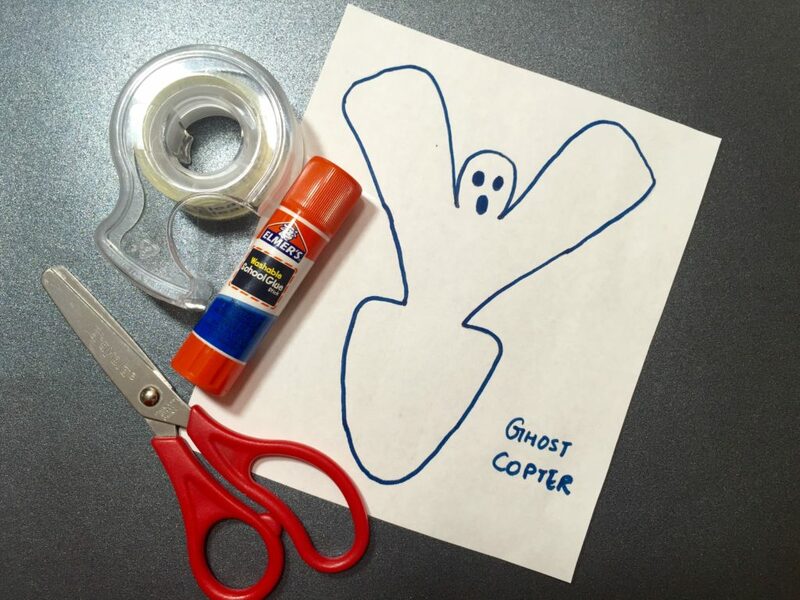 The Ghost copter is ready, release it from a height and see it spin. When you drop the ghost , it will take a few seconds before it start spinning and to slow down. 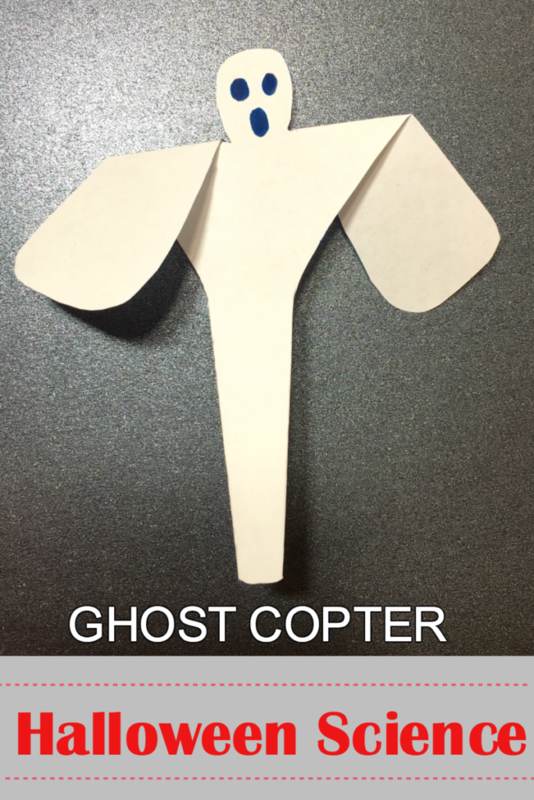 The ghost copter needs a certain amount of vertical space to begin its spinning When dropped from a height, the force of gravity pulls the ghost copter down whereas the air rushes out form under the ghost wings in all direction. The air resists the movement and pushes up against each wings separately, causing some of that thrust to become a sideways or horizontal push, causing the ghost copter to spin. 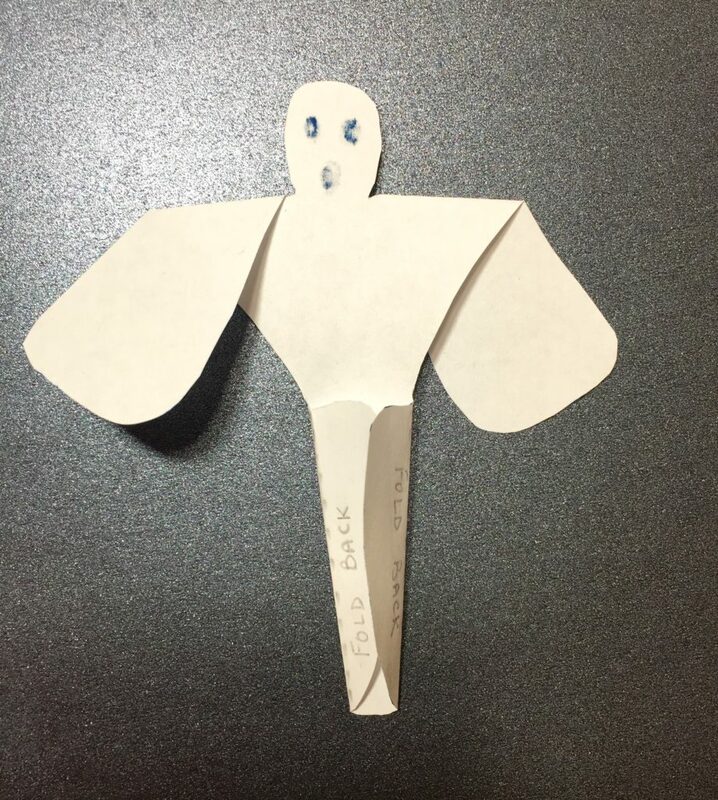 If you add paper clips to the body of the ghost copter it would increase it’s weight and reduces the air resistance but increases the amount of air hitting the ghost wings and hence causes the wings to spin faster. 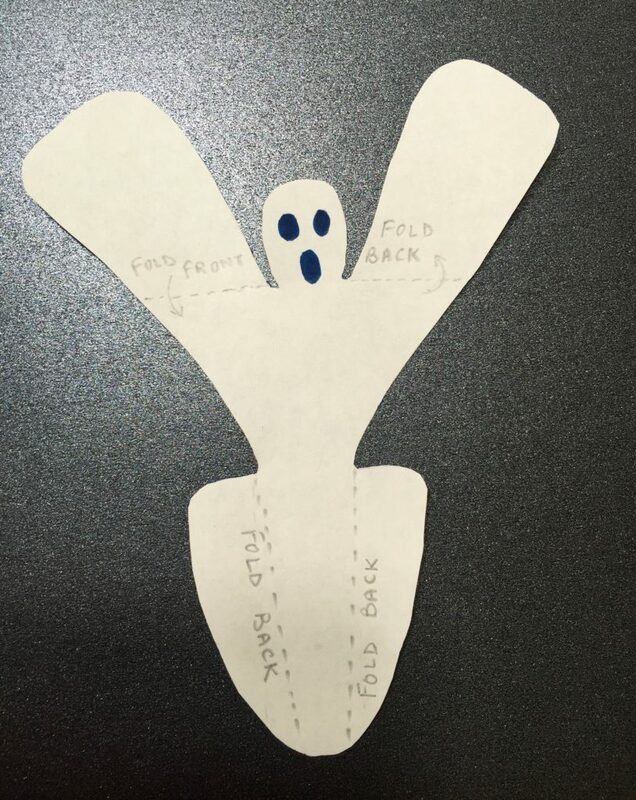 Try changing the shape and size of the wings and see how slow your ghost can spin and fall to the ground. Have fun experimenting it.